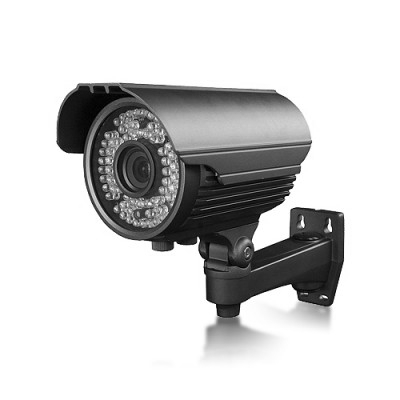 The security solution the simplest and most effective way to fight against any rudeness, damage or burglary is to monitor your assets, monitor, record and transmit images and sound from video cameras in color or black and white. 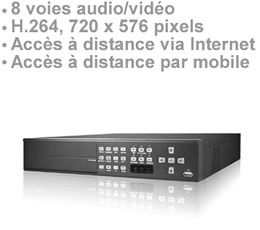 Our recorder storage DVR 5108 is a eight-way video and audio recording in H.264 for a resolution of 720 X 576 pixels at 25 fps, the menu administration is French and can be managed remotely via the Internet with your computer directly on the recorder using its buttons or using the mouse. 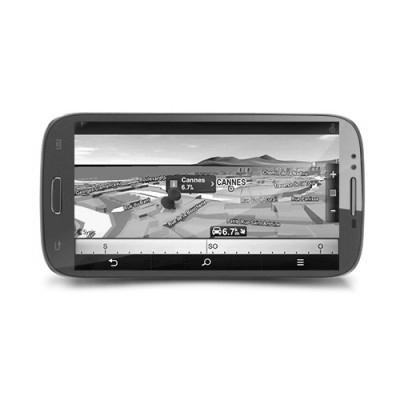 You have remote access to the videos via the Internet and mobile phone (windows mobile). You can install in our recording up to 2 hard drives of 1 TB (Terra Byte) in SATA for total memory capacity of two lands, it also includes a DVD burner and a USB port for file management and backup directly on recorder storage. You can also perform backups remotely via the Internet from anywhere in the world. 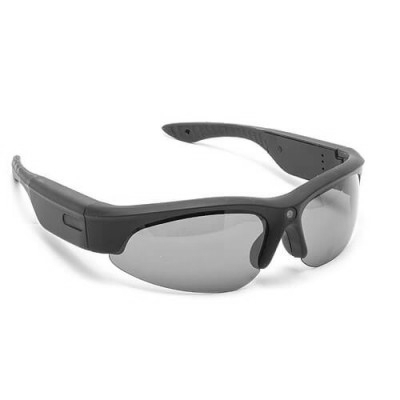 Records may be in motion detection, or programmed directly into emergency mode. The archive search is by date or event you receive ouvez same event photo and video attached. The struggle against shrinkage and degradation of our property is a real scourge, the democratization of video surveillance in Europe is acknowledged. 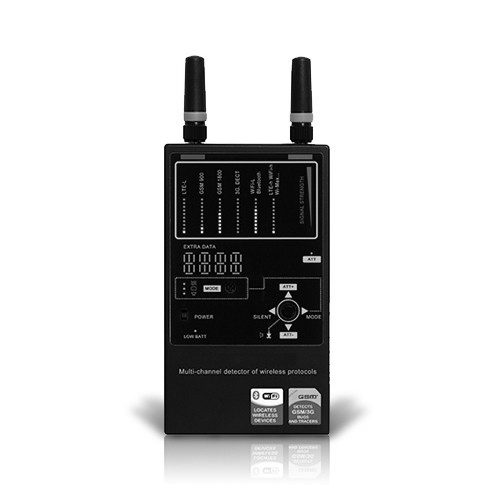 With our DVR 5108, you can view your live cameras or view files saved. Consultation live video or recorded can be done locally or remotely via the Internet. 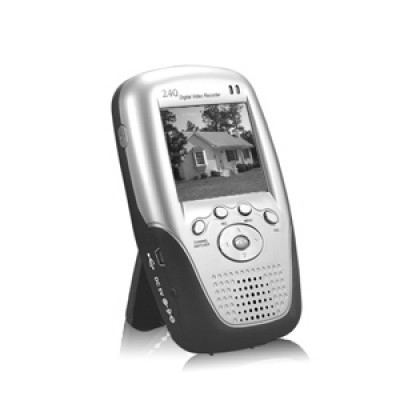 Furthermore our recorder you can view the videos via a mobile phone running Windows Mobile 6. Access to our recorder digital storage is secure. In fact, you can set up multiple user accounts or non-restrictive (administrator or guest) protected by a password. 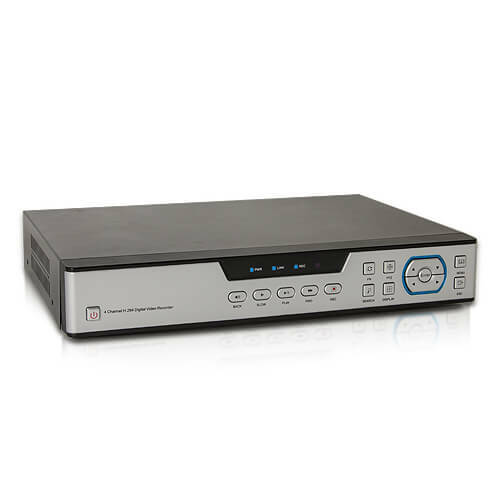 Our DVR 5108 is a standalone video server, it does not need a computer, monitor or keyboard. It sets out when the connection to the current 220V. 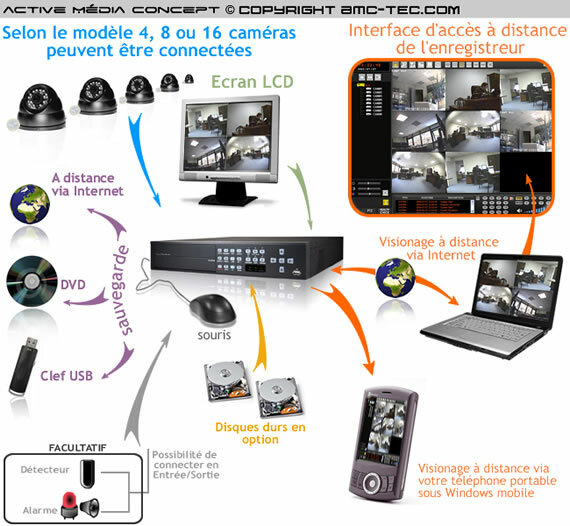 You can have 1 to 64 cameras connected to video recorders and more may be on the same management interface. 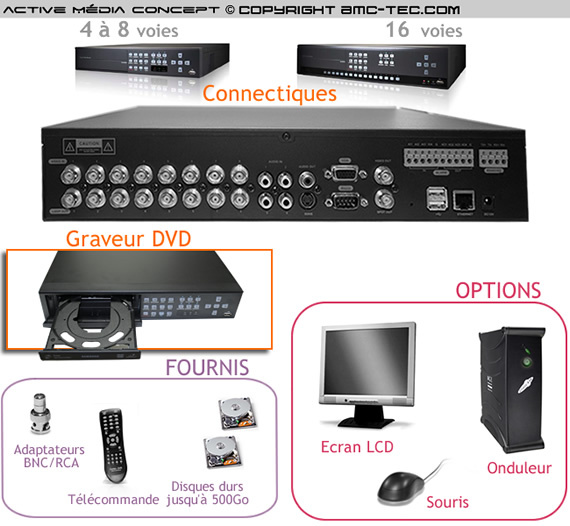 Active Concept Media has selected this recorder for the following reasons: it is a real video server, our digital DVR 08 channels is ideal for users who want a simple installation and efficient. The team recorder stores, businesses, homes, restaurants, hotels ... It comes with all hardware needed for installation. To install your security system, you can retrieve the map of your home, warehouse, shop, hotel or other by a system of industrial and import it into our recording storage. Set your infrared video cameras, PTZ cameras, mini cameras, dome camera video on your plan. You can name them and so know the area where an alert is triggered. With this recorder you have a real security system and lets you watch live and remote stores your 24/24, your company, your family, your house, your apartment from anywhere in the world.